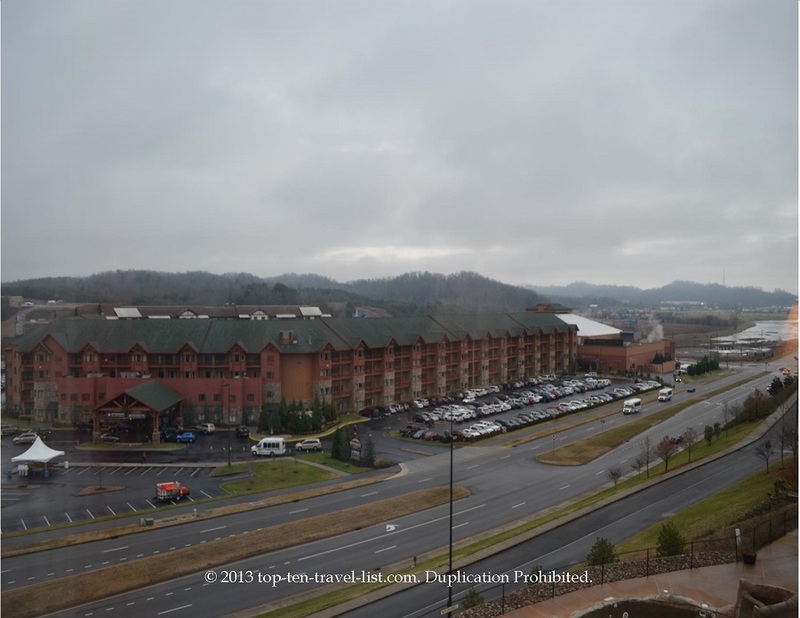 Wilderness at the Smokies: A One of a Kind Tennessee Adventure - Top Ten Travel Blog | Our experiences traveling throughout the US. 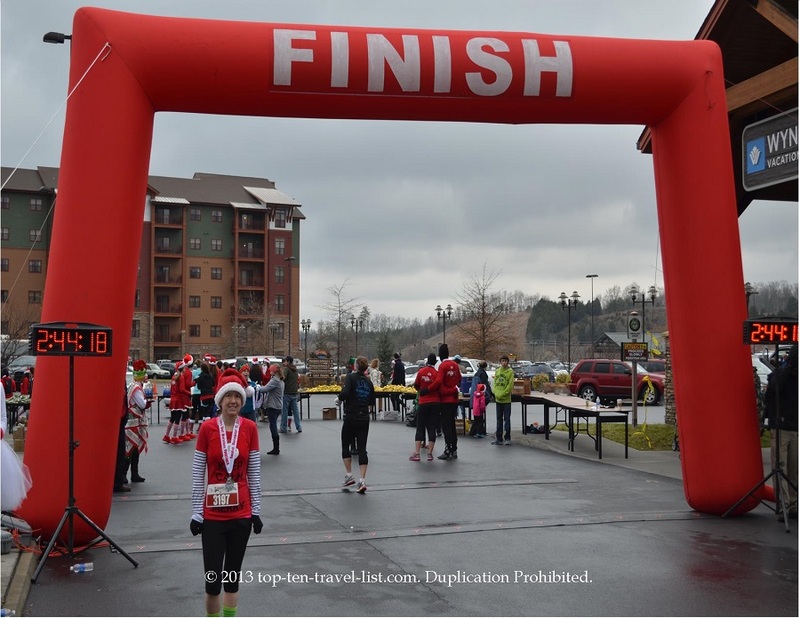 This past weekend, Mike and I arrived in Seiverville for the annual Santa Hustle – a holiday themed half marathon. The hotel partner for the race was Wilderness Resort, which was conveniently located right next to the marathon start line. Conveniently, I was able to walk directly outside approximately 30 minutes prior to start time – no need to drive anywhere or find parking! 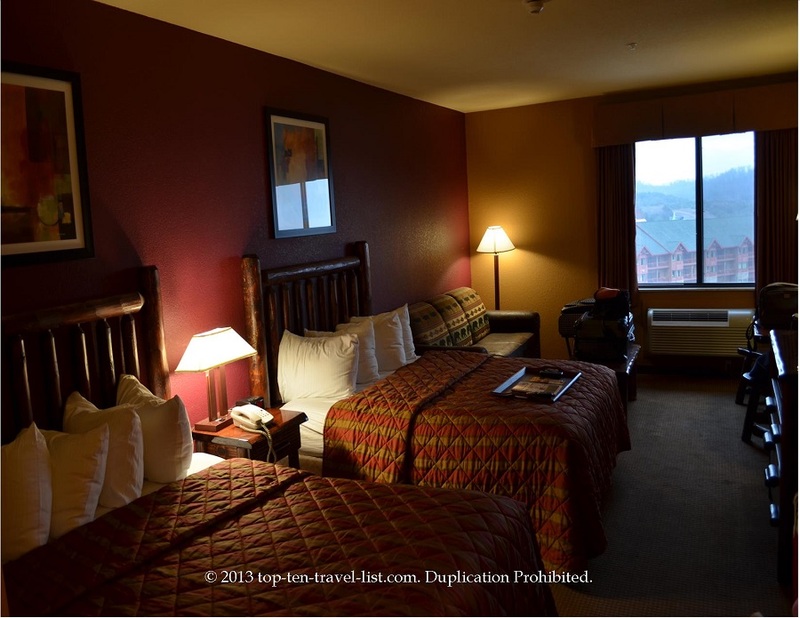 The many on-site conveniences made this resort the ideal place to stay before the race. Several on site restaurants, an indoor and outdoor water park, a fitness center, mini golf, an arcade, several retail shops, and free attraction tickets comprise a long list of resort amenities available to guests. I recommend choosing the 2 for 1 Ripley’s Aquarium of the Smokies pass – it has been rated by many as one of the best in the world. The Santa Hustle race was a really fun experience. I managed a 1 hour and 52 min finishing time despite the hills and colder than expected temperatures. Soaking in the large water park hot tub the night prior was the perfect treat. It gave me an opportunity to relax my muscles and recover from the long drive. There are 2 restaurants on site, several snacks shops, and a deli/convenience store. We had the opportunity to try out the Thirsty Miner, a family/buffet restaurant. It was pretty good and more important, convenient. Check out my full review of Thirsty Miner. Lodging is available in either the River or Stone Lodge buildings. We did not have a choice as we booked our room at the last minute. The Stone Lodge room was pretty basic, but adequate as we didn’t spend much time in the room. The entire hotel has a nice woodsy theme. 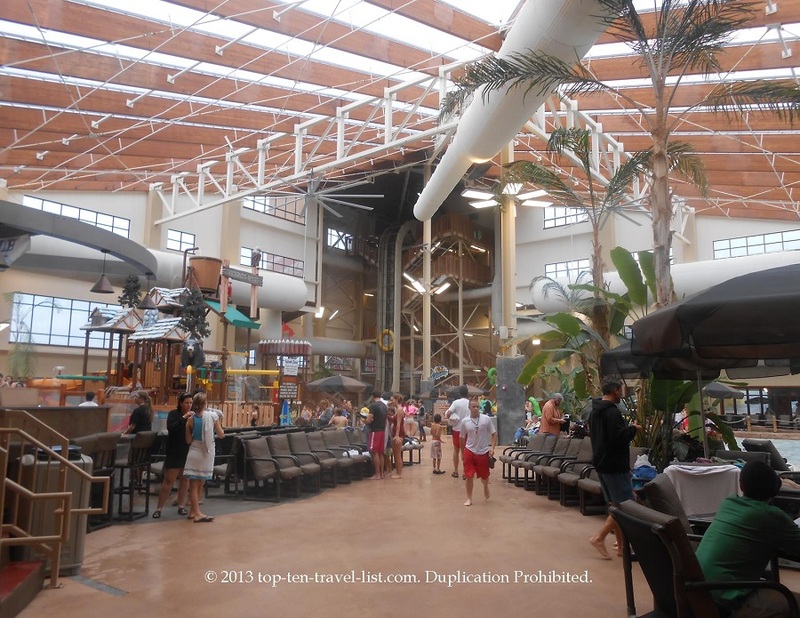 There is a complimentary 5 minute shuttle ride over to the River Lodge resort, which houses the indoor water-park. If you plan on spending most of your time at the water park, The River Lodge would be your best bet. 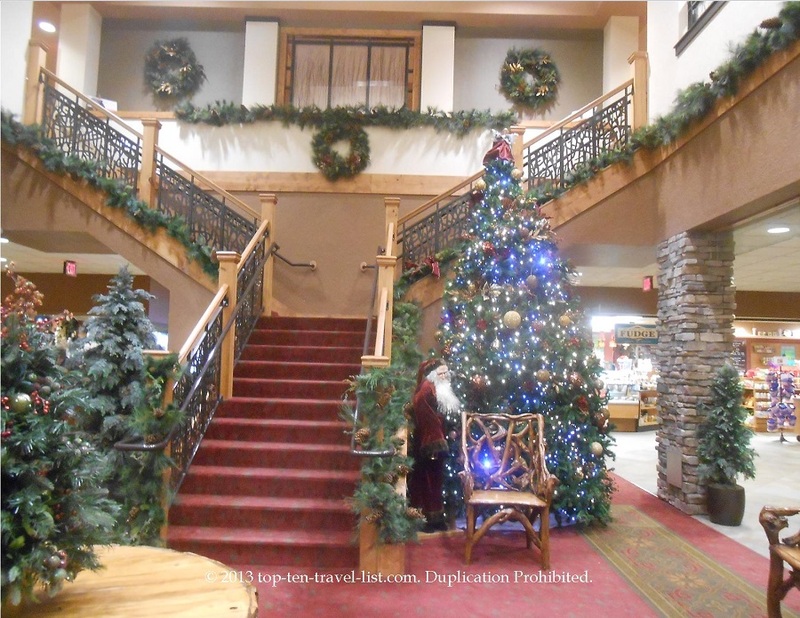 The hotel was decorated nicely for the holidays. Various holiday activities such as Yuletide carolers, Christmas craft workshops, and swimming with Santa are offered each day throughout the season. 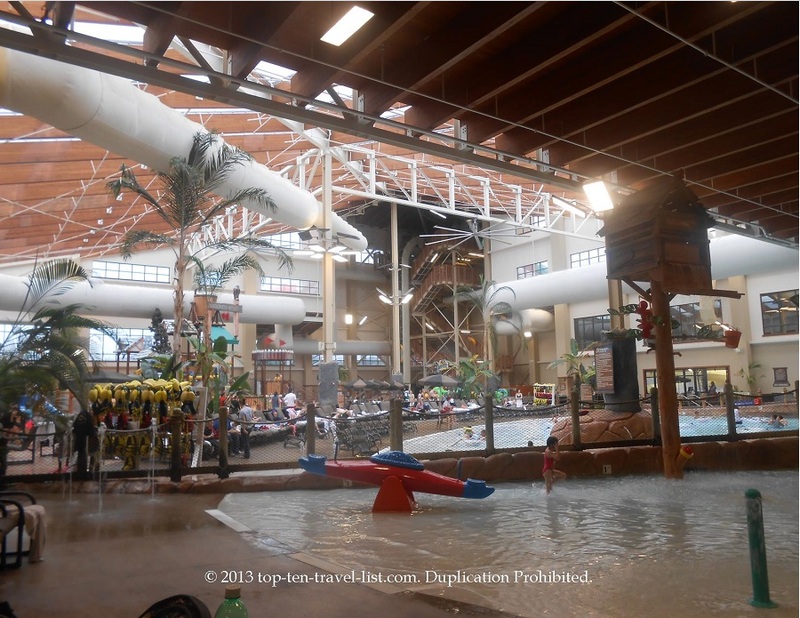 The indoor water park was the major perk of staying at Wilderness. Admission is included with your stay. Another perk is being able to use the water park after check out (until closing that day). I have never been to an indoor water park, but I have to say I was impressed. The park was much bigger than I expected: here you will find 4 different water slides, a wave pool, a surfing area, a bar, snack shops, and a large hot tub. The room temperature is heated like it would be outside, only you don’t have to worry about sunblock or stepping on the hot cement! Plenty of fun to be had for everyone in your family. 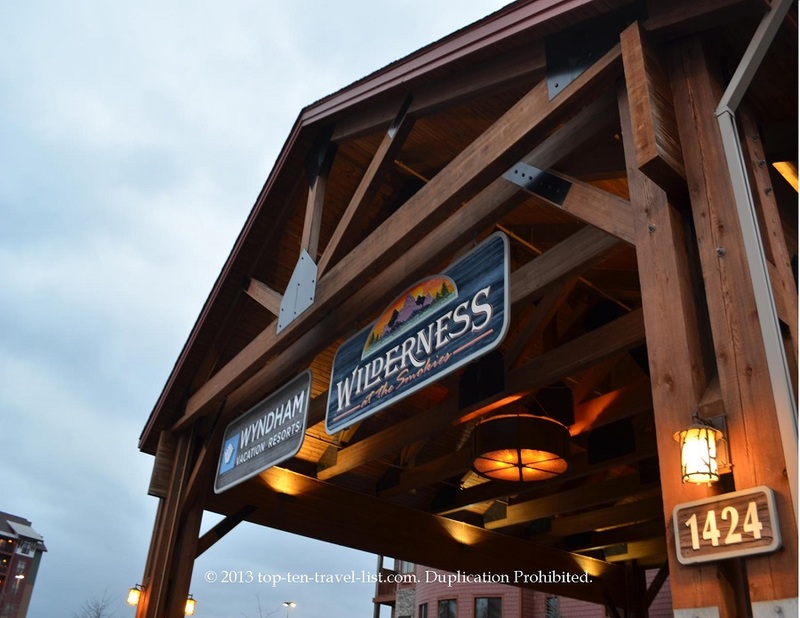 Overall, Wilderness at the Smokies was the perfect place to stay for our event. The on-site amenities led to a convenient, hassle free experience. We didn’t have to waste any time driving around town when we had the option between 3 on-site restaurants. The on-site activities will give you more than enough opportunities for entertainment during your stay. And if you feel like venturing out, Seiverville is located just a short drive from both Pigeon Forge and Gatlinburg. Wilderness at the Smokies is located at 1424 Old Knoxville Hwy, Sevierville, TN 37876. Visit the Wilderness at the Smokies website to check out monthly specials.